You feed us. You dress us. You watch us when we are sleeping. You lay down the law. You explain that night follows day. 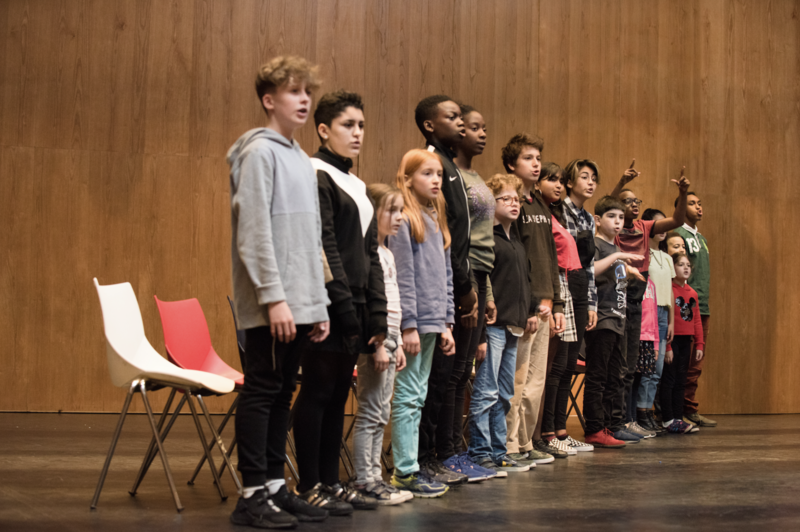 In December (2018) we presented a new version of Artistic Director Tim Etchells’ That Night Follows Day, at Southbank Centre in London. 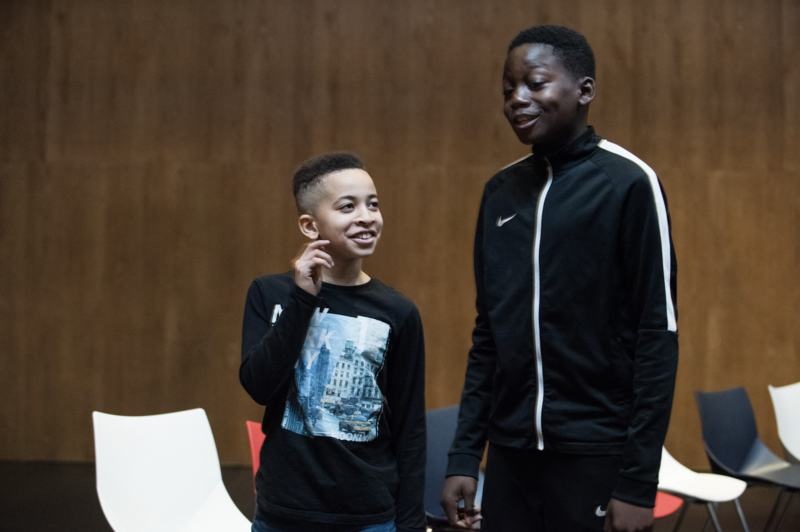 Performed by children, for an adult audience the piece explores the way that adults and the adult world shape the experience, understanding and possibilities that young people have. 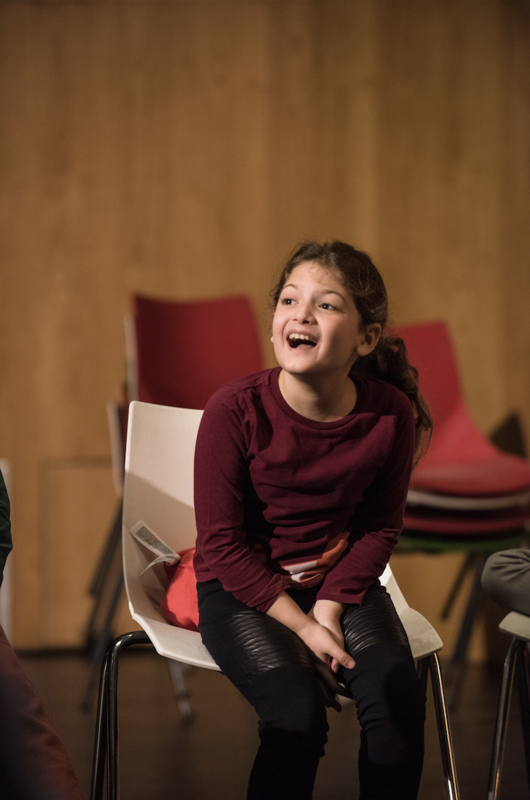 The new UK version of That Night Follows Day comes after the version produced in Dutch with the Flemish company CAMPO, which toured the world following its premiere in May 2007. 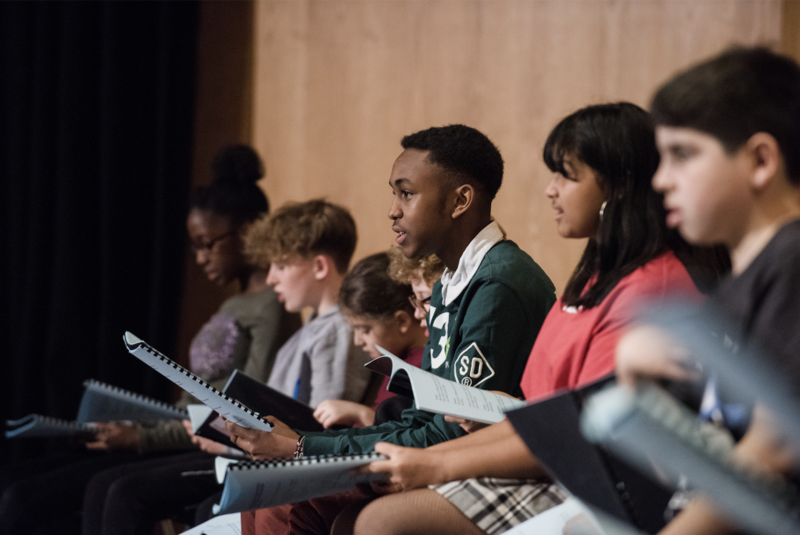 Creating this new production of the piece we worked over a period of about 4 months with a group of 17 young people aged 8 to 15, allowing Tim to update the text and Tim and Hester Chillingworth leading the rehearsals. 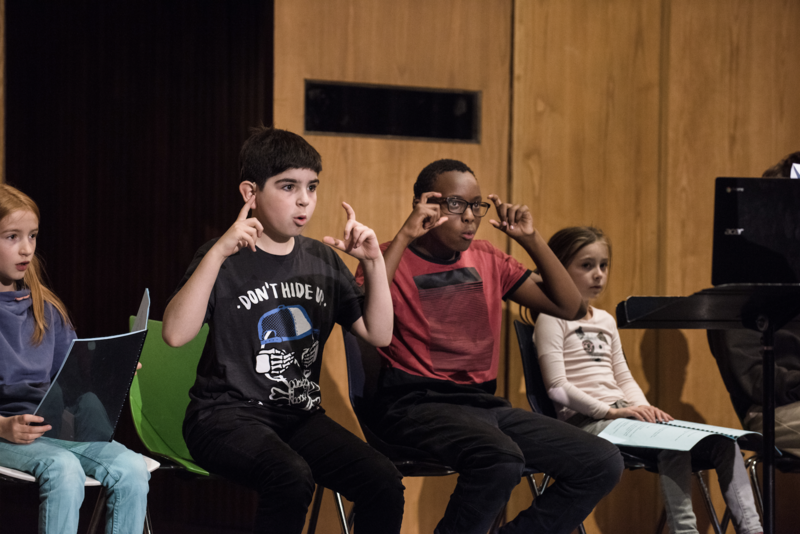 A diverse cast drawn from all over London, the performing group integrated two D/deaf performers who presented their parts of the piece in BSL. That Night Follows Day invites us to take a critical and playful look at the way we project our world onto those around us. 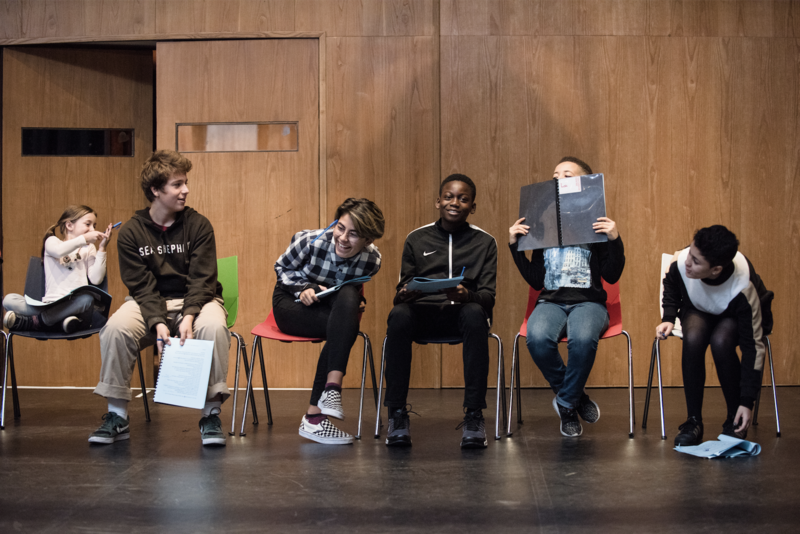 With alarming clarity and humour, these young people reveal the ways we are all constrained and created by the words we hear. 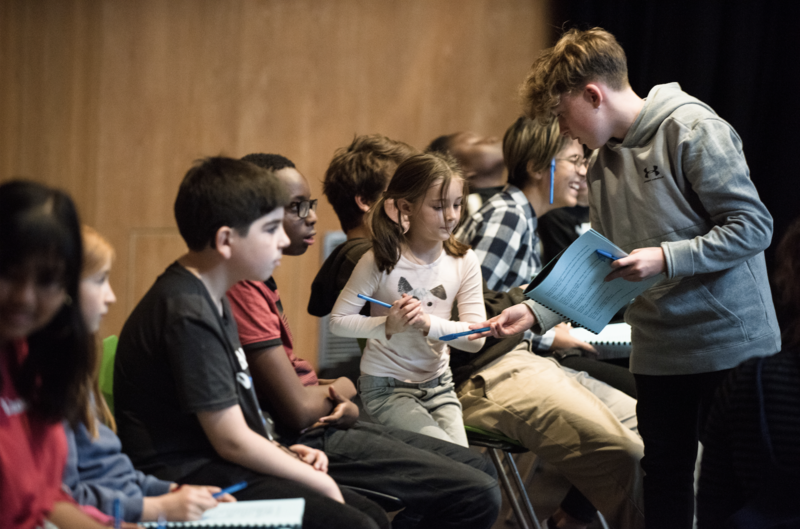 Since 2011 Forced Entertainment have also been using That Night Follows Day as the basis for workshops, creating a series of public rehearsed readings of the text, bringing this widely acclaimed work to presentations with UK and international partners, young participants and audiences. 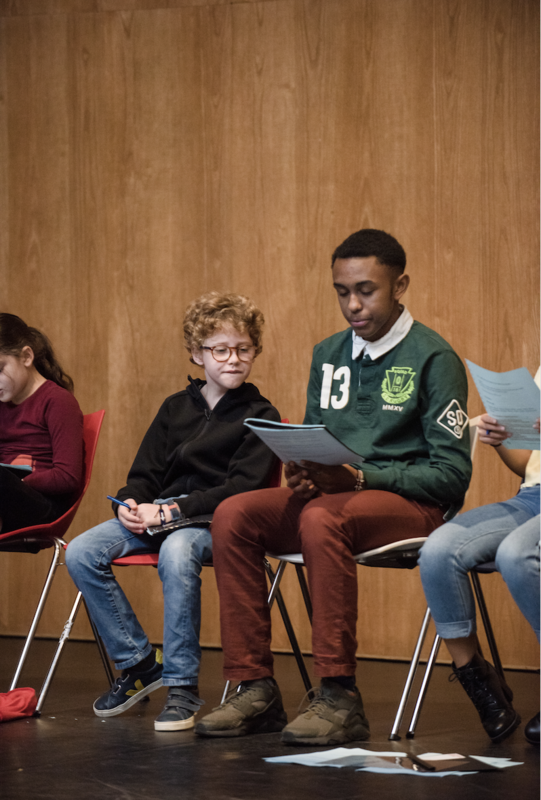 Find out more about our rehearsed readings here. 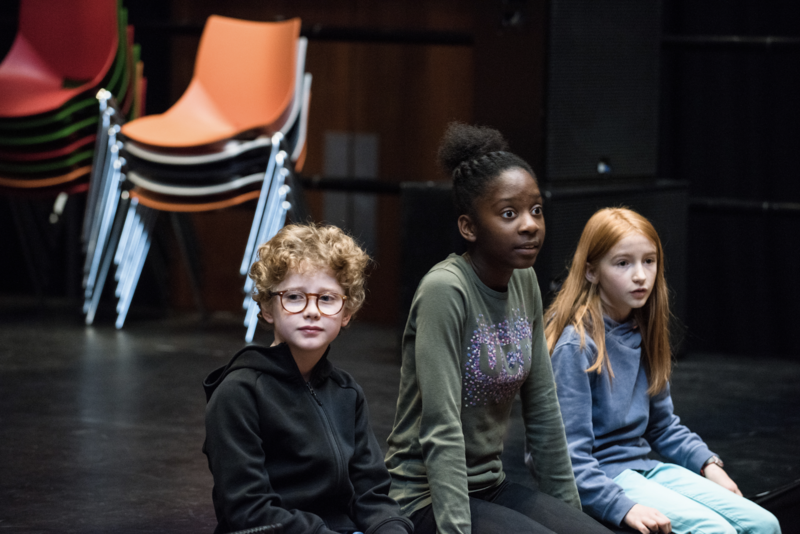 "...authoritative, passionate, vulnerable and true..."
"In its simplicity it is the deepest, most profound and purest piece you’ll ever encounter on the relationship between adults and children." That Night Follows Day was originally commissioned and produced by Campo formerly Victoria (Belgium) in 2007.